Drying Time: 1 hour (16 hours re-coat). Theoretical Spreading Rate: 10.0-14.3 Sq. Mtr./Ltr. We are reckoned amongst the customers for offering a large range of Metal Primers. These Metal Primers are used on various types of surfaces. 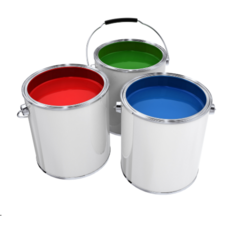 The offered products are used in various industries for painting and many more purposes. Moreover, our products are widely known for their long lasting life. 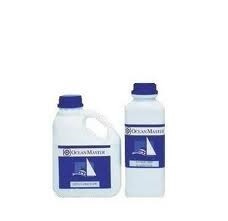 We are involved in offering the wide range of Zinc Chromate Primer. It is the solvent based protective coatings for steel. It is known for its good adhesion to substrate. It has fine anti-corrosive properties towards the metal. It is available at the market leading price. High performance primers like Zinc phosphate Zinc chromate redoxide Middle coat of MIO HB epoxy and Topcoat of epoxy and Polyurethane. Surfalac Zinc Chromate Metal Primer is a combination of Zinc Chromate and other pigments dispersed in a special medium. It is the ideal primer for steel and non-ferrous metals that are exposed to heavily corrosive environments. With the help of our team of experienced professionals, we process, manufacture and supply an extensive range of Epoxy Primers. These primers are formulated at our processing unit under the most favorable conditions using superior quality chemical substances in compliance with the international standards. - Nitozinc Primer is supplied as a two component system based on metallic zinc and epoxy resin which on mixing gives a grey coloured liquid.